Number of pages: 30 pages. Content makes the web go round. ....and if you're an internet marketer that means you have to create the content, or pay someone else to create it for you. This is either (or often both) time consuming and expensive. ...and its also where PRIVATE LABEL RIGHTS (PLR). 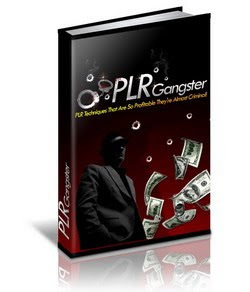 PLR products are digital products such as articles, ebooks and reports that are sold to you in a way that you can easily change them. These days they usually come with graphics, and sales pages provided....although not always. Depending on the 'license' that is issued with the PLR product, you can use the material in various ways - sell them to other people as 'end users'. Or sell them to other people to sell on again (resell or master resell rights), or you can break them up and use the content is different ways. ...except it's a lot less expensive because you have to share it with other people, depending on how many licenses are sold. Which is the main problem with how most people use PLR. It doesn't - UNIQUE content makes the world go round.